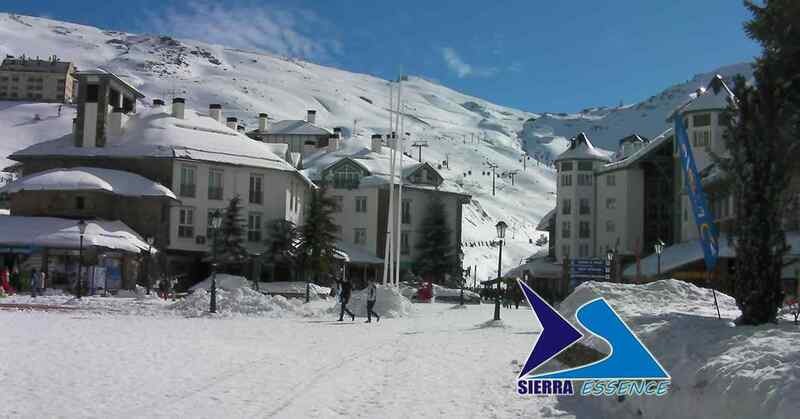 WANT to find the cream of British skiing talent in the Sierra Nevada? Well look no further than seminal Crescendo bar at the foot of the slopes, where Jonathan Buzzard and Giles Birch met over two decades ago. This is their second office and where you will find them propping up the bar after a hard day’s teaching on the slopes, which they know like a fox in a fox hole. 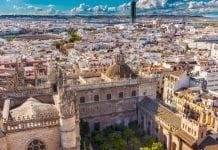 Step back to 1996, a boom time in Spain, and Giles was looking for the ideal transport rep to help him grow his travel business, working with the likes of Neilson Ski alongside First Choice and Thompsons, that had just launched in Granada. Jonathan had all the right traits with his long flashers mac, ‘big hair’ and a friendly, outgoing persona. “I had no idea what was going on but had been told that Crescendo was the place to find the Brits and the reps-in- the know,” he recalls. 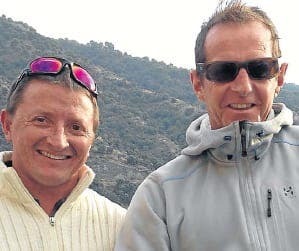 The pair are still working together, collectively running the extremely successful British Ski Center from their base at the resort. Great mates, they both now teach, as well as sort out holidays for hundreds of clients each year. “Of course things are completely different to back then,” explains Jonathan, who lived in Marbella in the golden years before it was ruined by corrupt leader Jesus Gil. “Sierra Nevada used to see in thousands of foreigners every week, but after a couple of dry years in the 1980s the resort’s reputation suffered badly and things all began to change. Of course there have been some bad years such as 1995 when Jonathan recalls cycling up Borreguiles run on a mountain bike in shorts on Christmas Day. This year however, is one of the best. “But generally it is as good as most other international resort and the range of skiing and schools is hard to beat,” explains Giles, who is now in his benchmark 21st season in Granada. Since arriving he has married (a Portuguese girl), had three children and taught literally hundreds of clients. So what makes the Sierra Nevada so special, according to him? One aspect is the length of the season. This is partly due to the resort’s altitude and the quality of the snow which is constantly worked on during the night. “That’s why you’ll never see slush even in the latter part of the season.” he adds. 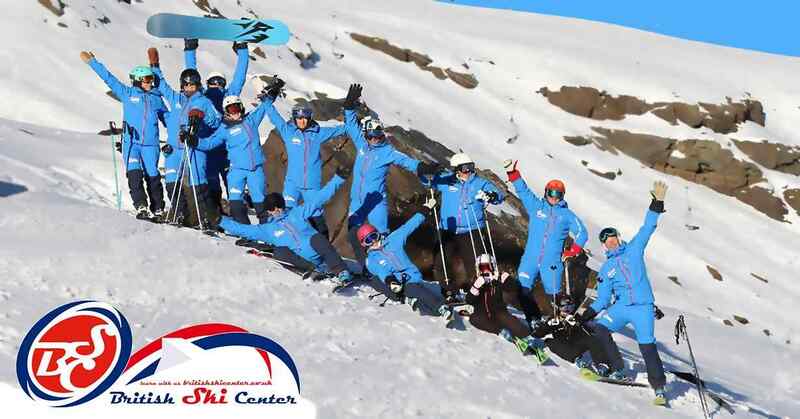 Visit www.britishskicenter.co.uk for more info.